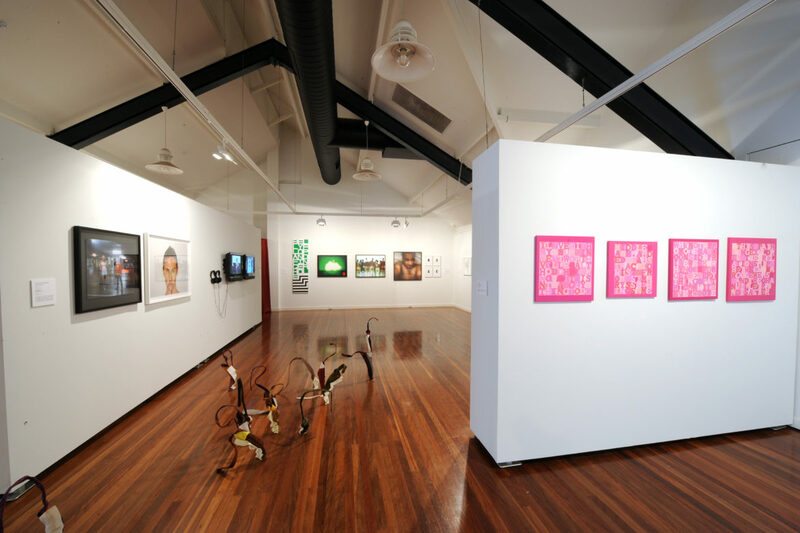 Are you an artist looking for a great space to create new work in? Do you have a creative project ready for the next development phase? 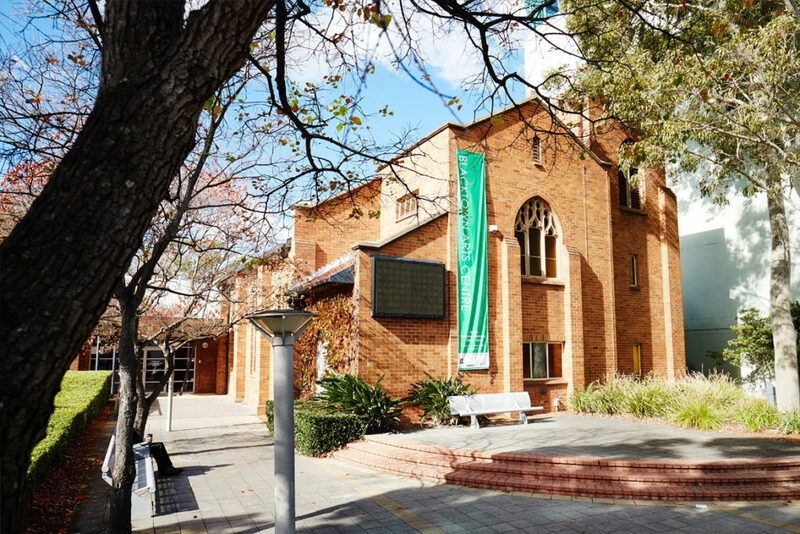 Blacktown Arts Centre’s Creative Residency Program supports artistic development and emerging arts practices in all forms. 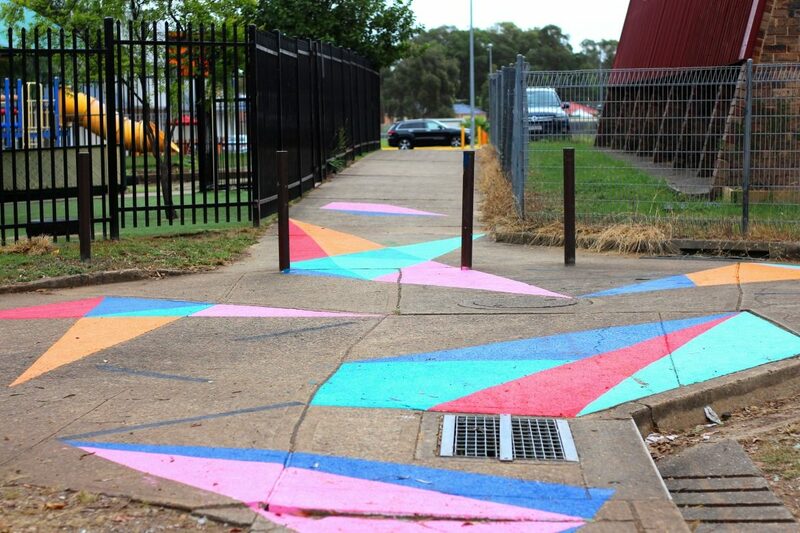 The Creative Residency Program offers exciting opportunities for artists who want to engage with people or places in Blacktown, often resulting in a rich collaboration between artists and communities. Applications for the 2018 Creative Residency Program close on Thursday, 14 September 2017. Apply for a 2018 Creative Residency. 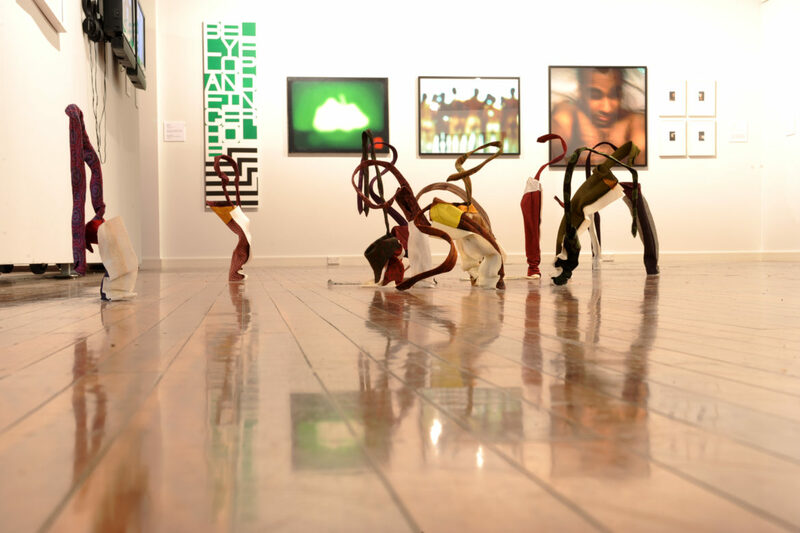 Naomi McCarthy and Shirley Daborn received the Pat Parker Memorial Residency in 2017 which provides funding for artists that focus primarily on engaging with Blacktown communities. Here’s what they have planned during their residency for their proposed project, Veil of Wishes. Naomi | I am deeply interested in bearing witness to people’s individual lives. I have an ear for the genuine and am drawn closer to people through quiet moments of authentic expression. Strangely, I am quite a noisy person, but I am also a careful listener, looking for the deeper truths being expressed. Shirley | I have found great pleasure in working with people who don’t typically see themselves involved in the arts. 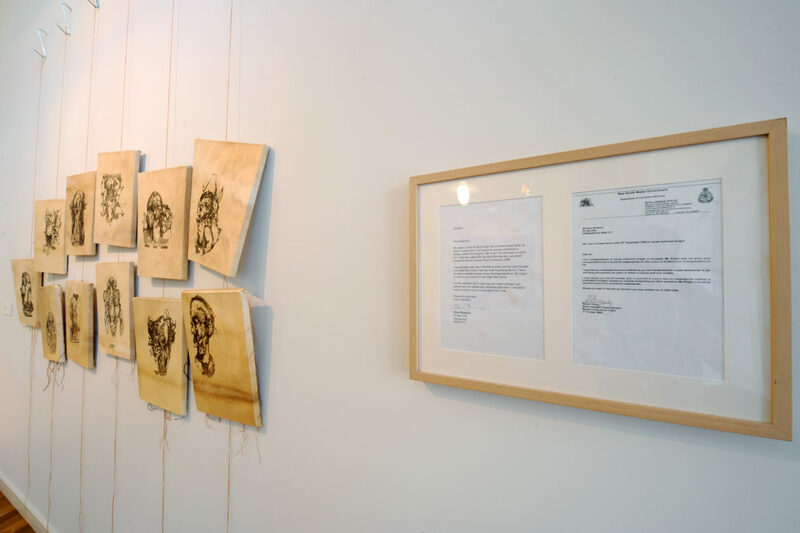 For this project, it is the possibility of discovering something new, making surprising connections and being a catalyst for creative engagement that are motivating factors. 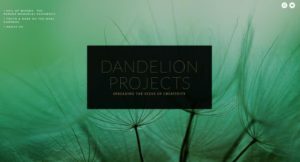 What is Dandelion Projects’ Veil of Wishes about? 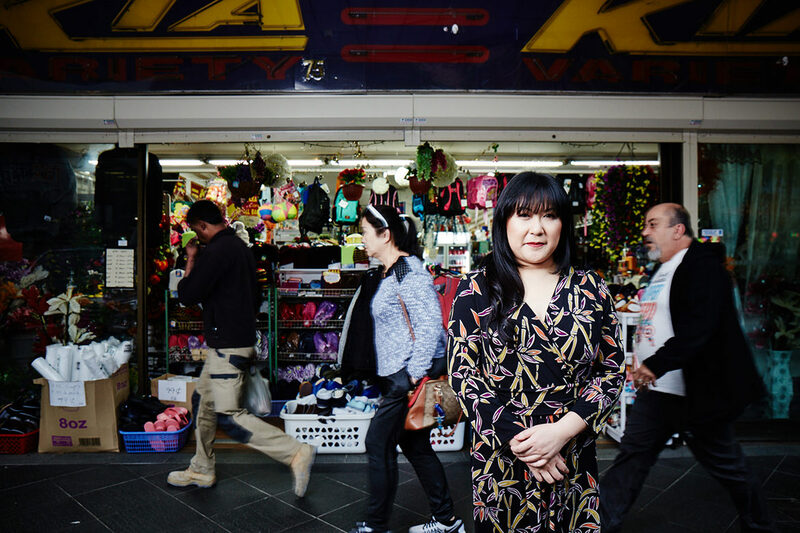 Naomi & Shirley | This project sets out to collect and share the individual secret wishes, dreams and desires of people in the Blacktown community. 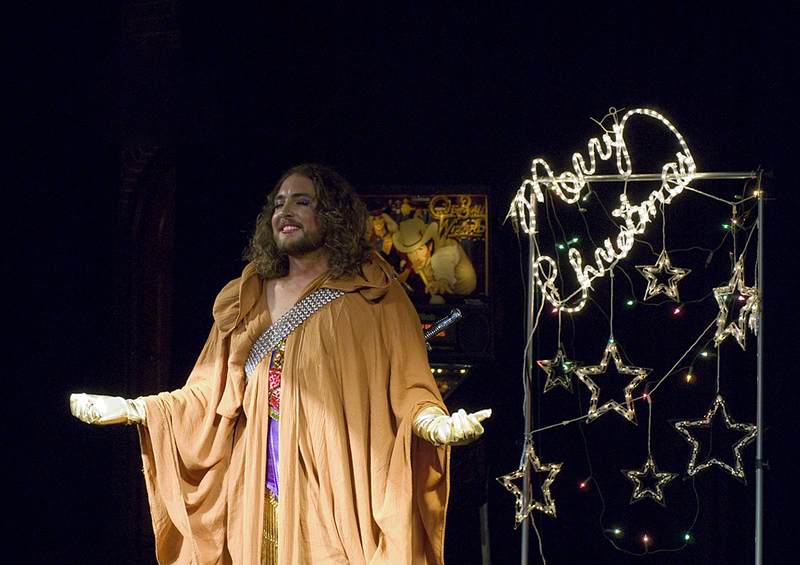 The Veil of Wishes is a public art project funded through the Pat Parker Memorial Residency. This project will culminate in the creation of a substantial art installation made from tissue paper dandelions accompanied by a digital text-based component anonymously sharing the wishes of project participants. Naomi & Shirley | This project was born out of one of our many, many conversations and is intended to draw people closer, to use creativity as a way to ignite and excite curiosity, engagement and exchange. The blowing of dandelion clocks is a symbol of wishing that is ingrained in countless childhood memories. Inviting people to contribute a dandelion, along with a secret wish, seemed a wonderful way of encouraging people to embrace the possibility that wishes are worth articulating whether they come true or not. We don’t know what this project will reveal, perhaps the uniqueness of people’s secret wishes or perhaps the similarities. We are excited to have the opportunity, through the lens of art, to encounter, experience and consider lives other than our own. 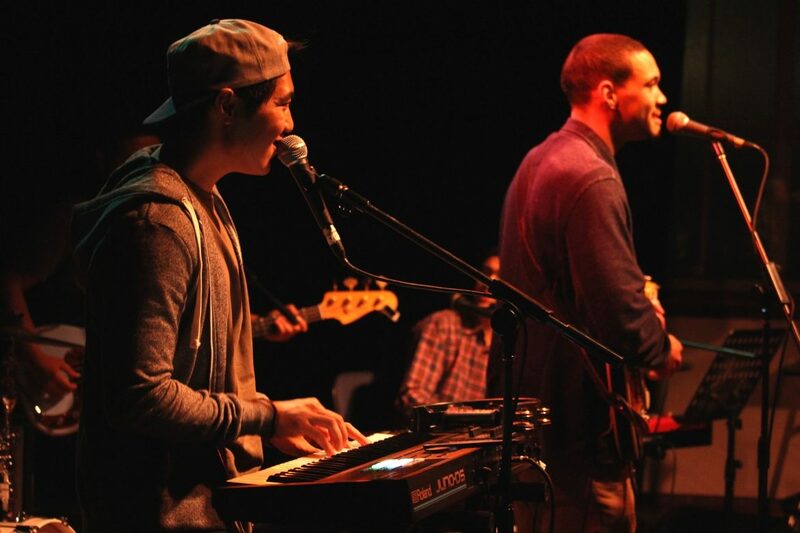 How did you both meet and what sparked this collaboration? Naomi & Shirley | We are long standing friends who love people, love art and love making things happen! What is your process for gathering people’s wishes? Naomi & Shirley | We will be inviting community and education groups to participate by making dandelions and submitting wishes. We will be distributing Veil of Wishes kits with everything needed to participate. Naomi | Whatever you are doing in life, be wholly there. Be generous in your attitude to life, to yourself and to others. Resist judging and embrace feeling. Shirley | Don’t be afraid of not knowing what you don’t know but instead channel the inner child, be curious and continue to ask questions. Just get started and let the ending take care of itself. Naomi and Shirley are hosting a series of free dandelion-making workshops. 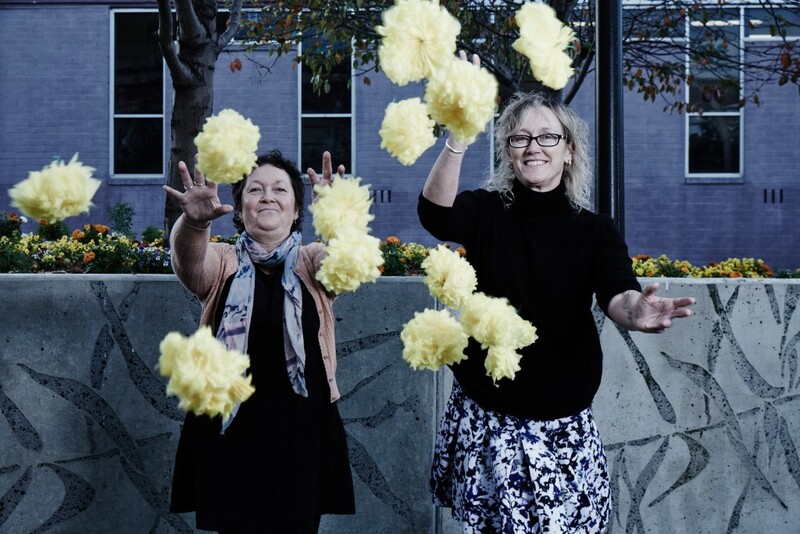 The paper flowers made by participants will form a large-scale collaborative artwork that will be assembled at Blacktown Arts Centre in December 2017. Connect with Naomi and Shirley on their website. 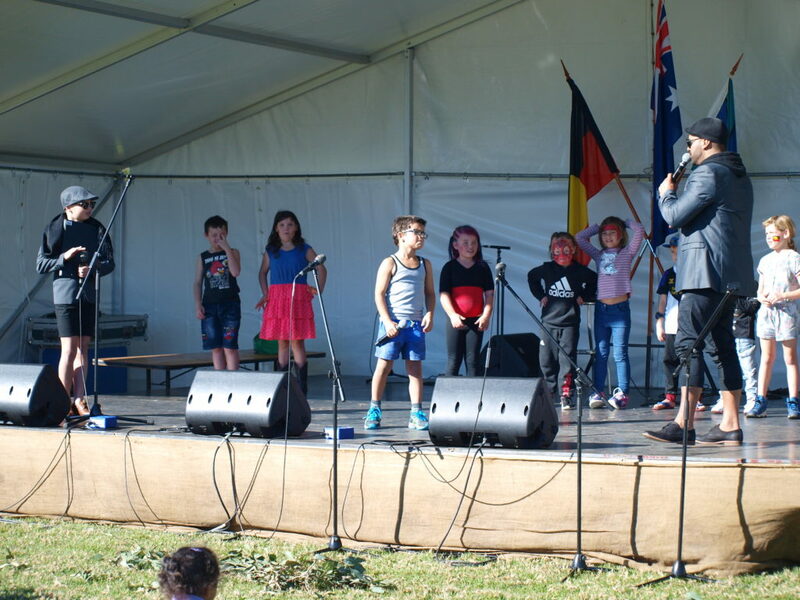 It’s always sunny when Blacktown celebrates NAIDOC Week, and this year was no exception. 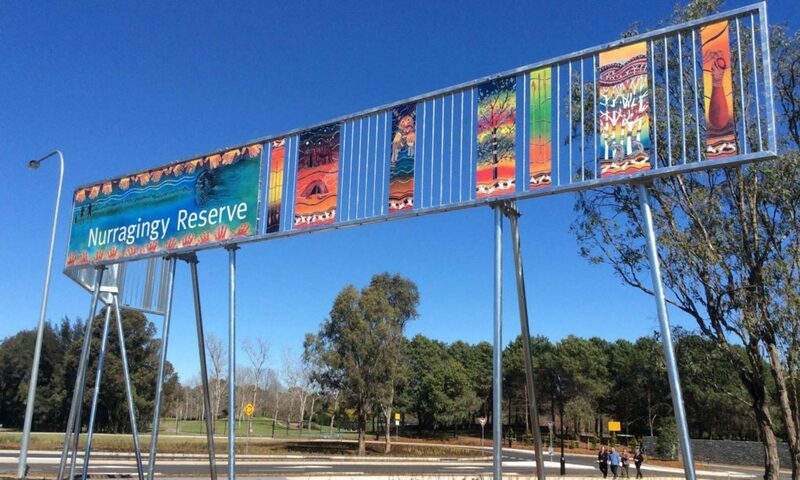 NAIDOC is a special event in Blacktown, which is home to the largest urban Aboriginal population in Australia. 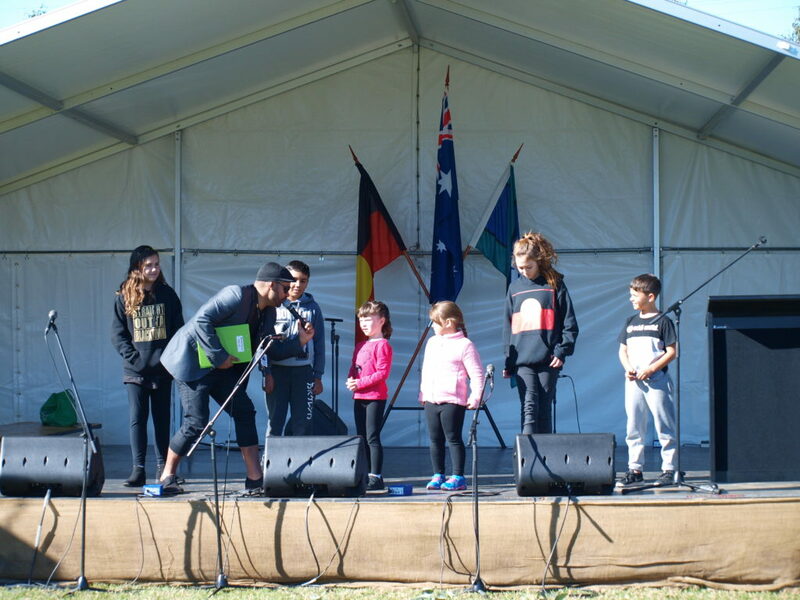 This year, we celebrated the NAIDOC Family Fun Day during the school holidays at Blacktown Showgrounds. 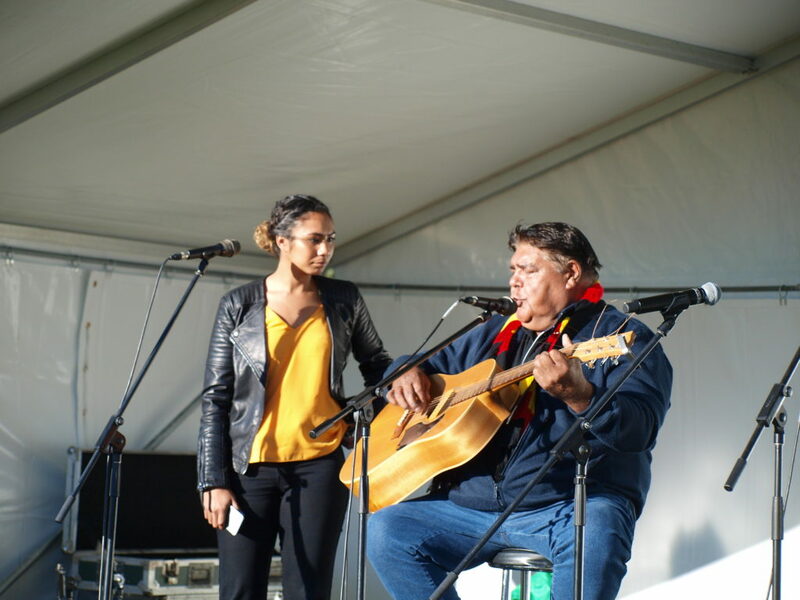 It was a day of music, and celebration; a day to remember Aboriginal and Torres Strait Islander contributions to the wider nation by showcasing our talents within. Here are some of the highlights. 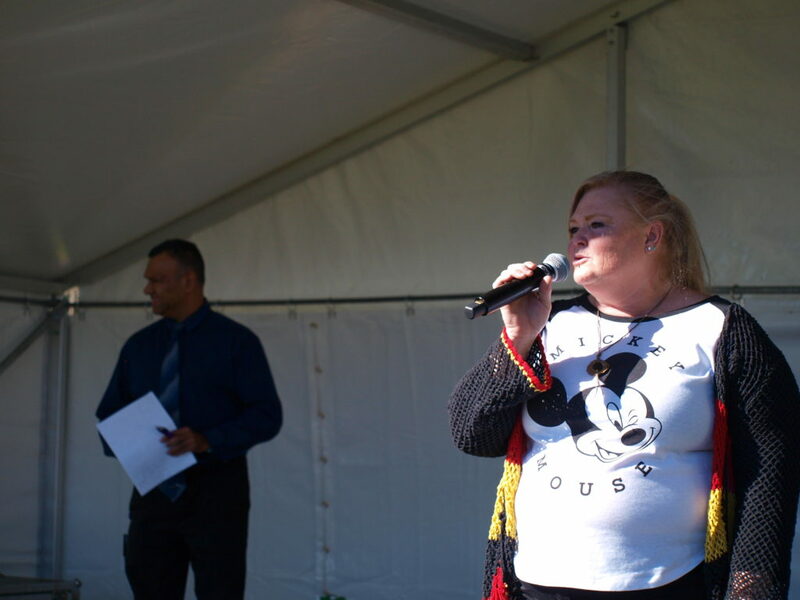 Welcome to Country was conducted by Darug woman Julie Clarke-Jones in Darug language. 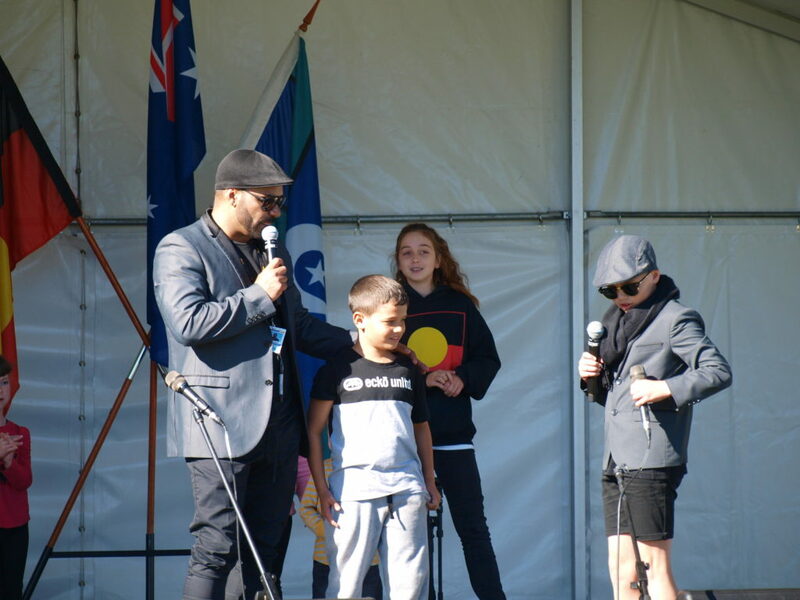 Councillor Stephen Bali, Mayor of Blacktown City, also gave an official welcome, and stayed to enjoy the festivities. 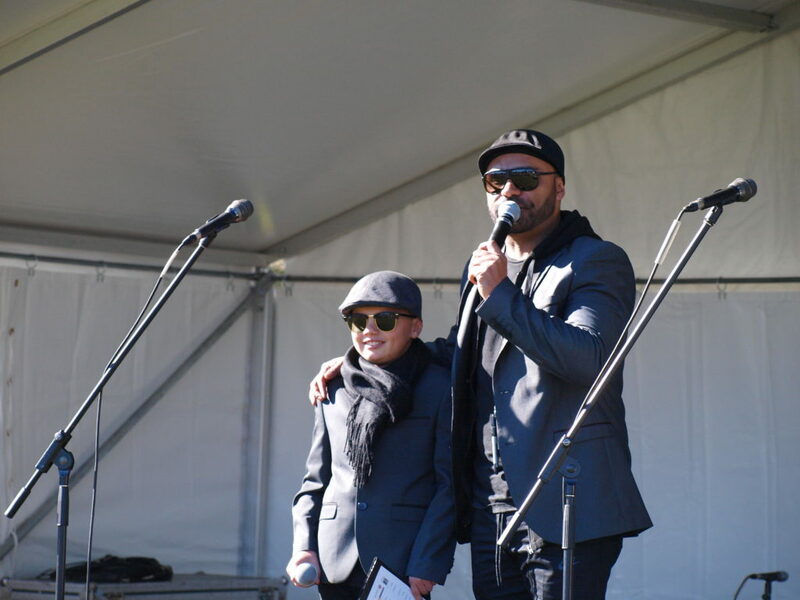 This year, MC Jie Pittman was joined on stage by 11-year-old co-host Jackson McBain. 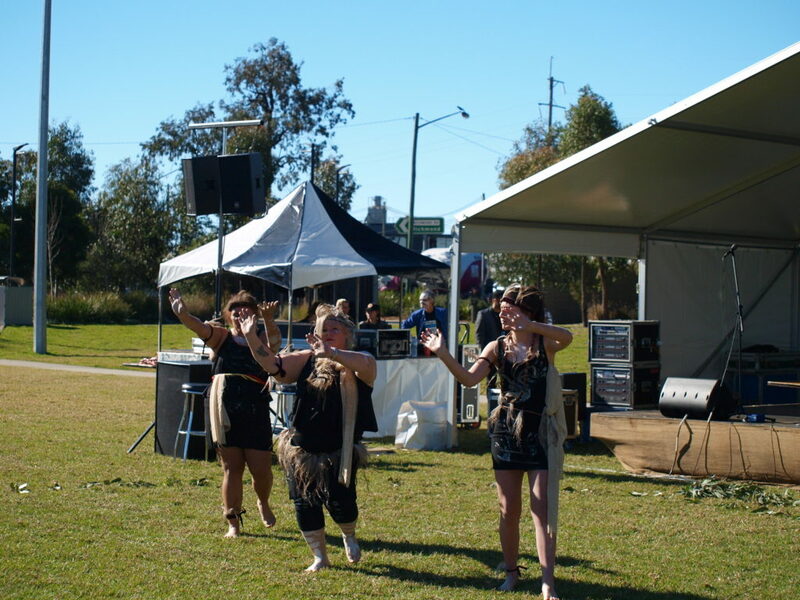 Two Darug dance troupes performed for an enthusiastic audience: Gumada Bubuwal started the day with a welcoming dance, and Minning Minni Kaiwarrine closed the day with a youthful performance. 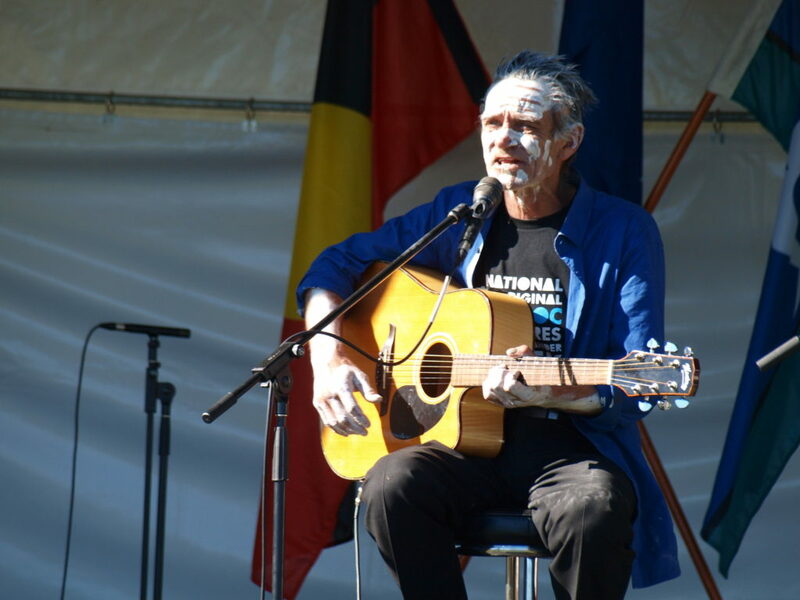 Dr Greenthumb, aka Darug language and cultural knowledge holder Richard Green, sang in language with love for his Country. 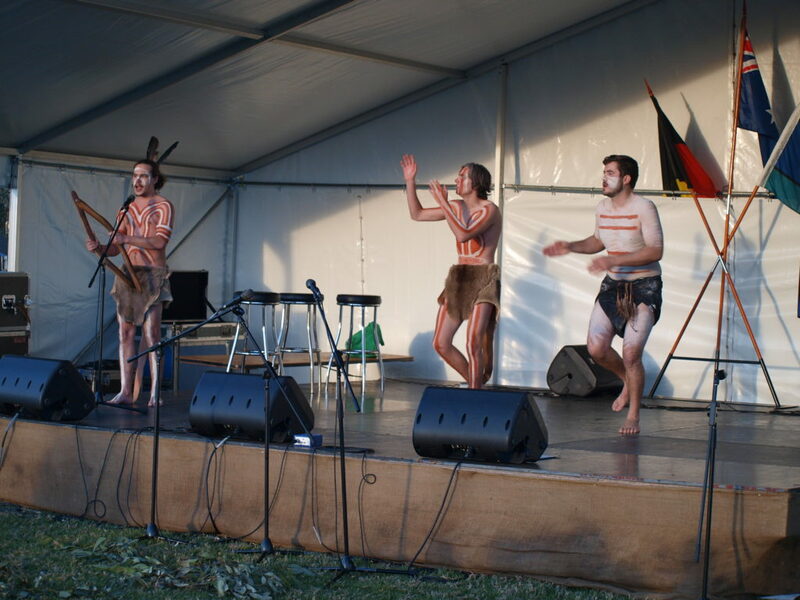 It was a strong performance, all the more pertinent given this year’s NAIDOC theme is “Our Languages Matter”. 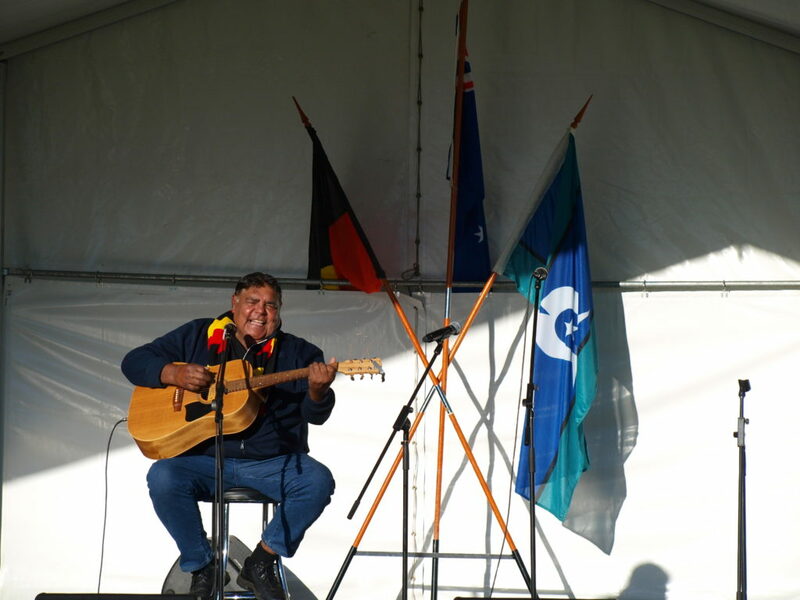 Last year’s talent competition winner, Raymond Hand-Simms, gave a great performance on the yidaki/didjeridoo. 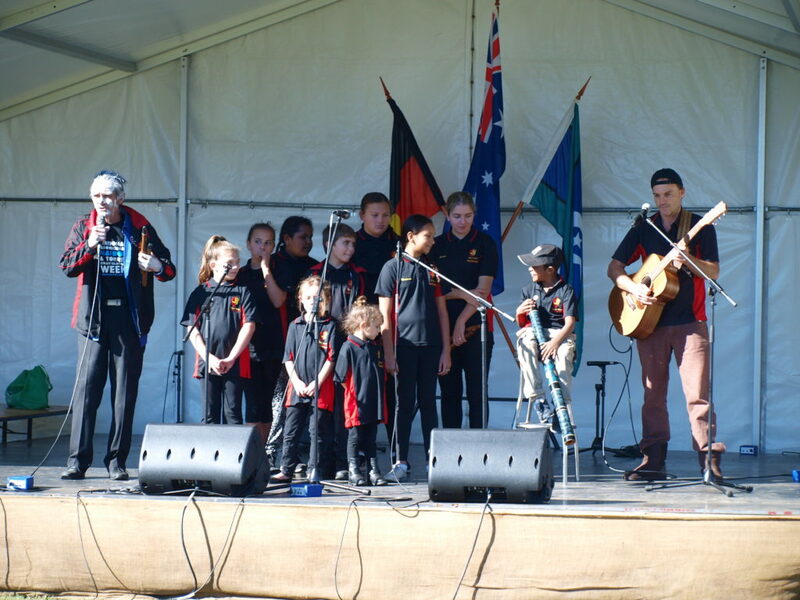 The Mount Druitt Indigenous Choir sang beautifully, and were joined on stage by Richard Green who has written or translated many of the songs they sing in Darug language. 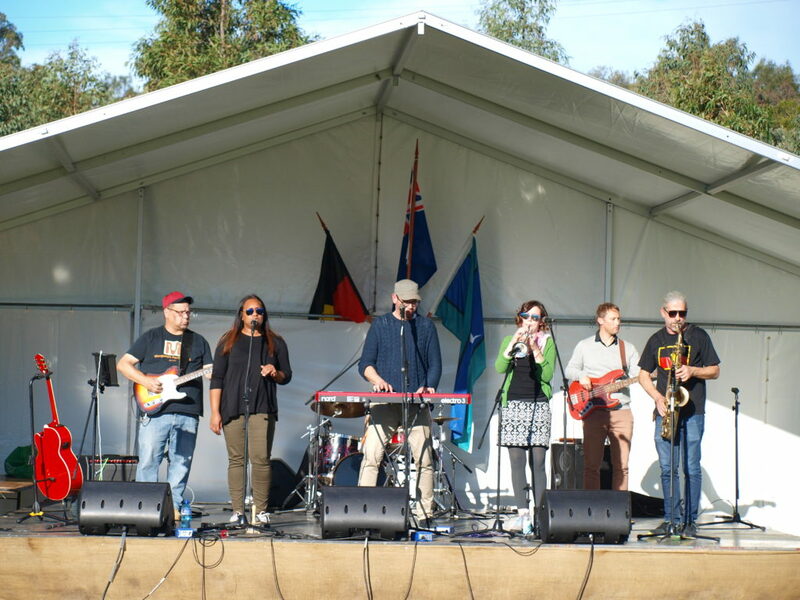 The Green Hand Band, featuring local resident Troy Russell, brought their brand of laid-back reggae to the afternoon. 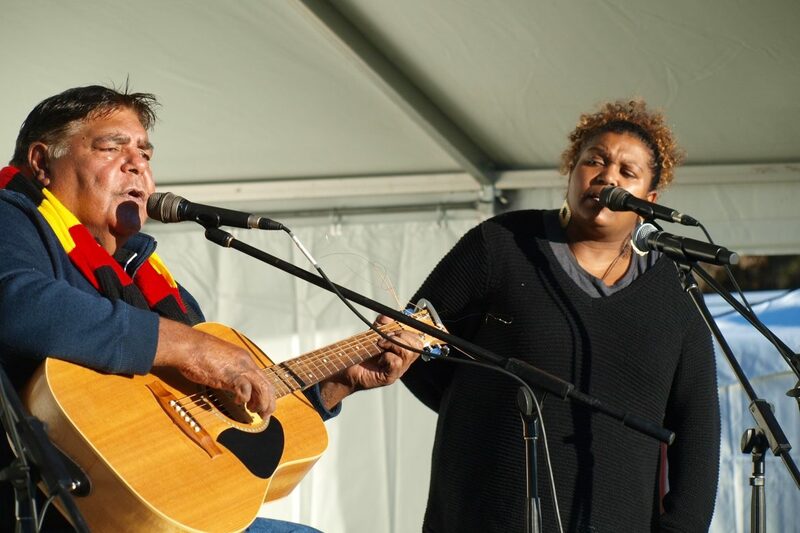 Sharon Carpenter and her band performed original compositions, including a duet with Richard Green called Bring Back The Gweagal Shield, highlighting the campaign to return significant artifacts and objects that were stolen in the first wave of colonisation. Headline act Roger Knox sang all our favourite songs from his extensive back catalogue, including his language version of Mother’s Eyes. 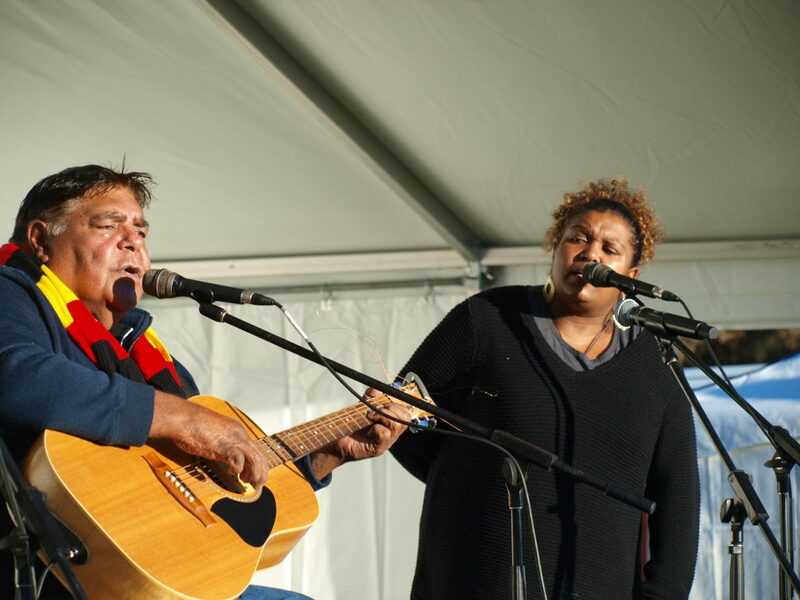 Nellie Dargin joined Roger during his set to perform Streets of Tamworth, and Roger finished the show with a spiritual song accompanied by Emma Donovan. 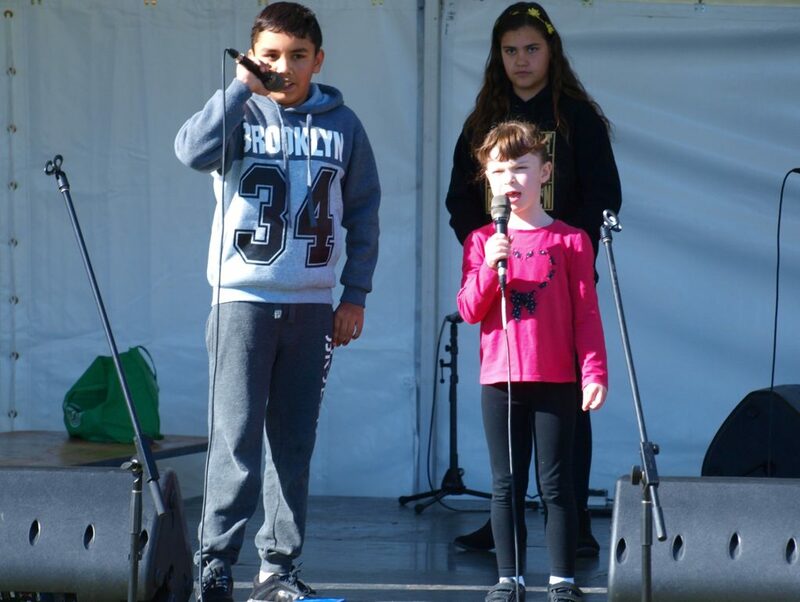 Young performers from the Blacktown area showcased their fabulous and diverse skills, bravely taking to the stage and vying for prizes in our talent competition, with Zelden Bell declared the winner! 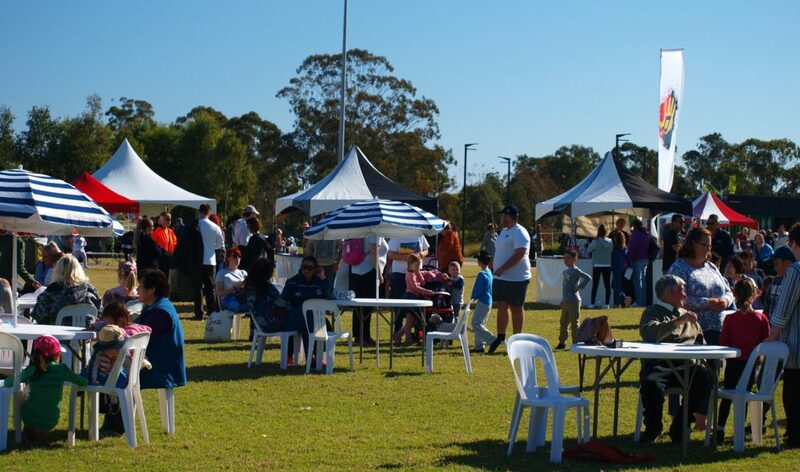 There were stalls selling Aboriginal goods including jewellery, clothing and art. We had face-painting, weaving workshops and circus activities for young people, and for those just young at heart. Kallico Catering delighted us with their delicious bush tucker food. 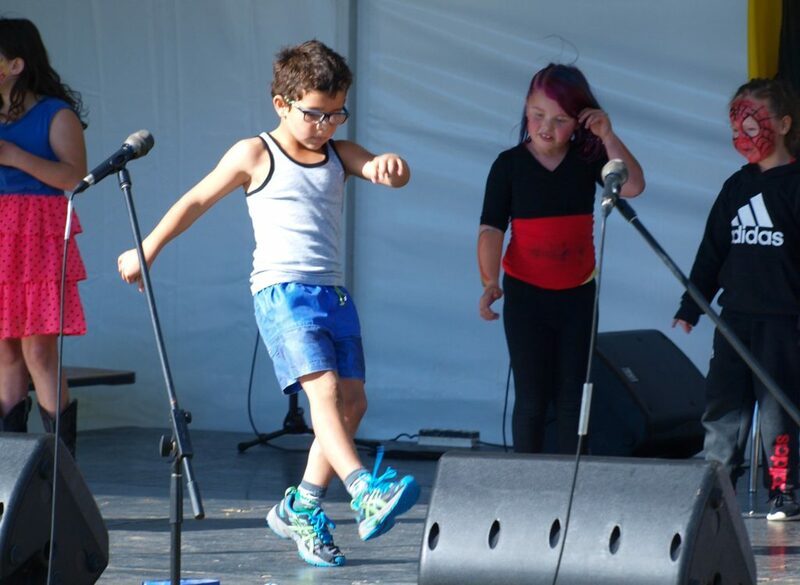 Blacktown Arts and Blacktown City Council extend a big thank you to all our stall-holders, workshop and art facilitators, amazing performers, and especially to those who attended throughout the day! We’ll see you all next year! 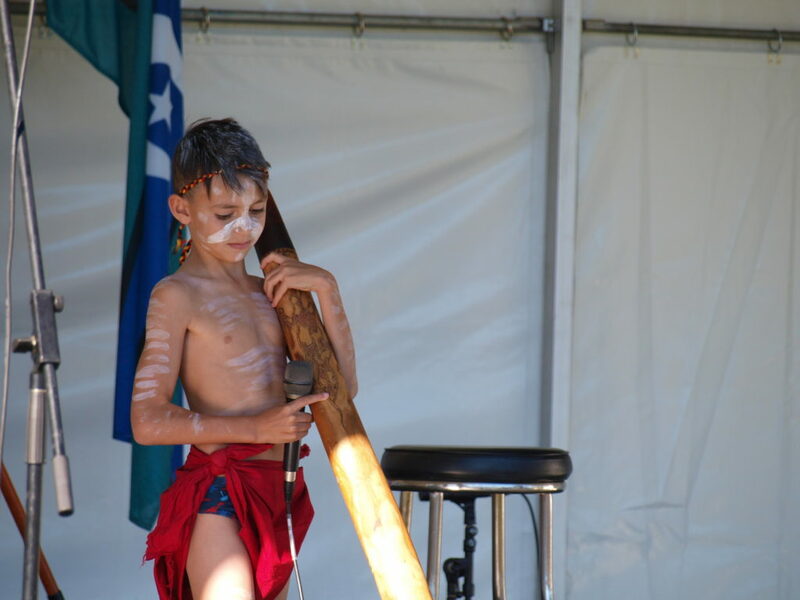 Read more about the history of NAIDOC here. 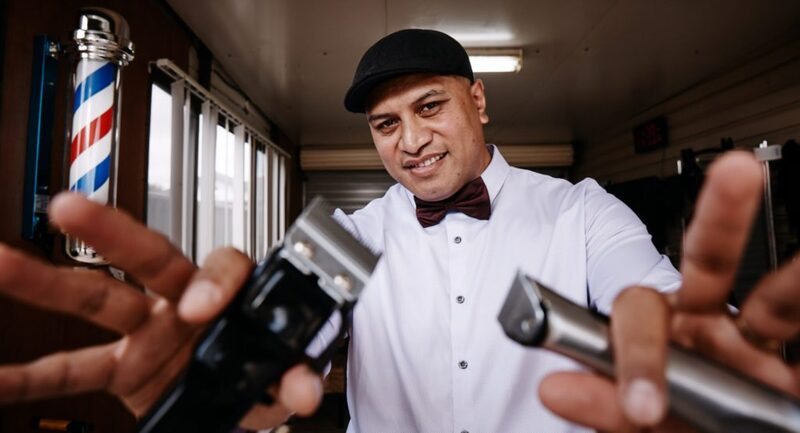 All photographs by Aroha Groves. Meet Bee Cruse, our Community Engagement Coordinator for Solid Ground – Blacktown Arts’ long-term partnership program with Carriageworks. 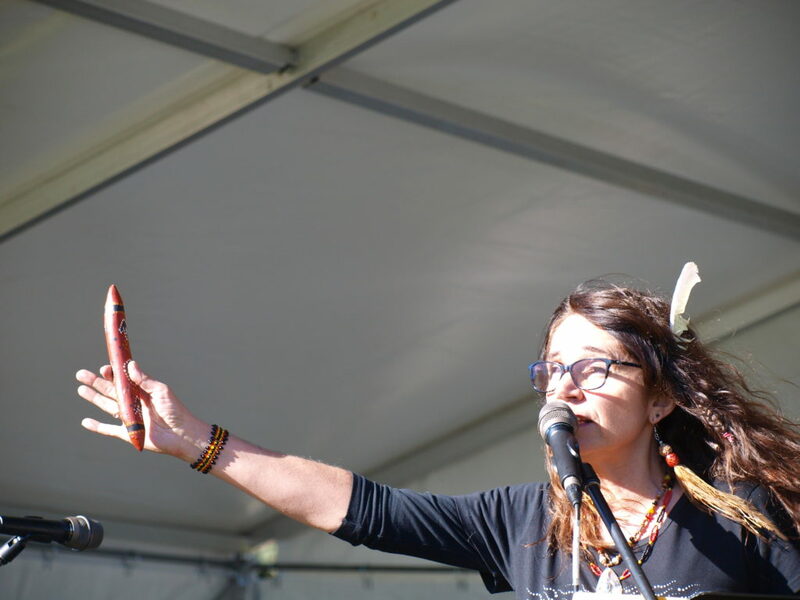 Bee is a Storyteller born and bred on Cabrogal country (a clan within the Darug nation). Her family come from the Gomeroi, Wiradjuri and Monaroo-Yuin peoples of NSW. Bee’s stories focus on her strong indigenous culture, people from the urban Liverpool area where she was born, as well as her connection to her American Indian and Chinese ancestry. 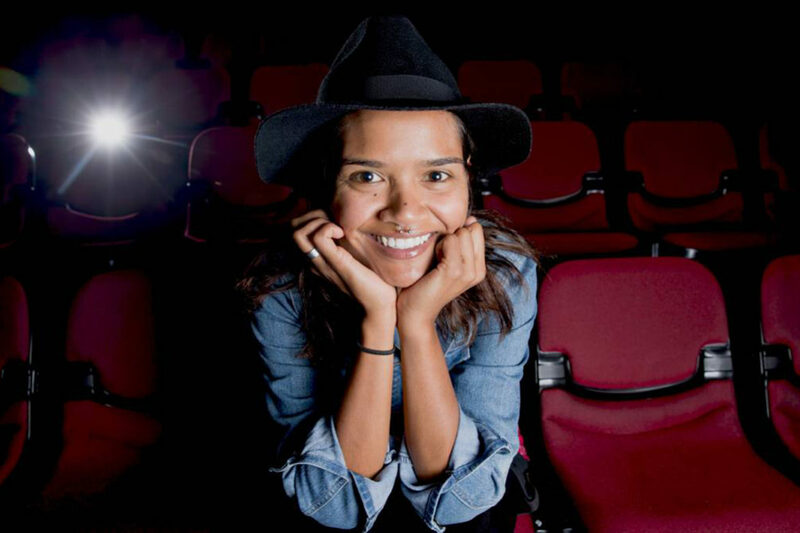 With aspirations to be a writer, director, producer and actor she has worked in film, theatre and television alongside Rachel Perkins and Wayne Blaire on Redfern Now and Cleverman, and with Urban Theatre Projects as the Assistant Director of Home Country for Sydney Festival 2017. Bee has a strong interest in global politics, and sees art as a means for social change. Her unique attitude to life and work has inspired her creative thought and she strives to inspire the best in others.